The people of Beam Suntory are the custodians of brands that have heritages measured in centuries. In 1795, a farmer and grain mill operator named Jacob Beam produced the first barrel of whiskey that would become Jim Beam, our flagship brand now overseen by seventh generation Beam master distiller Fred Noe. Beam Global Asia Pte Ltd, formerly known as Maxxium Singapore Fine Wines & Spirits Pte Ltd, is presently in ten South East Asian & Greater China markets, namely Malaysia, Thailand, Vietnam, Laos, Cambodia, Indonesia, Philippines, China, Hong Kong, and Singapore as the Asian Hub. As one of the market leaders within the drinks industry highly regards for our efficient services, strong brand-building capabilities and business innovation, we currently occupy at least one of the top three positions in every SEA market that we operate in. The strong Beam Global, Edrington and Suntory portfolios offer leading international brands such as Courvoisier, Jim Beam, Sauza, Maker’s Mark, The Macallan, Laphroaig, Teacher’s, The Famous Grouse, and are complemented by established third party brands such as The Yamazaki, Bowmore and Auchentoshan whiskies, Suntory the Premium Malt’s Beer, Bols, Midori liqueurs, Villa Maria, Elderton wines, and Errazuriz etc. 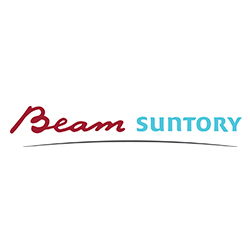 For more information on Beam Suntory, please visit http://www.beamsuntory.com/.